Learn how to see and understand data in different languages and locales. Welcome to the Internationalization Community Space! We are a group of Tableau product internationalization evangelists. Our mission is to Help people see and understand DATA in their language and culture. This is a place where you can float your ideas and share your feedback around international features and localization issues. Ask your questions to Ask Internationalization, vote on your favorite Internationalization ideas, or create a new idea. The Internationalization Community Space is a single place for all discussions, questions, and ideas around Language and Locale at Tableau. Get involved and help Tableau users around the globe! 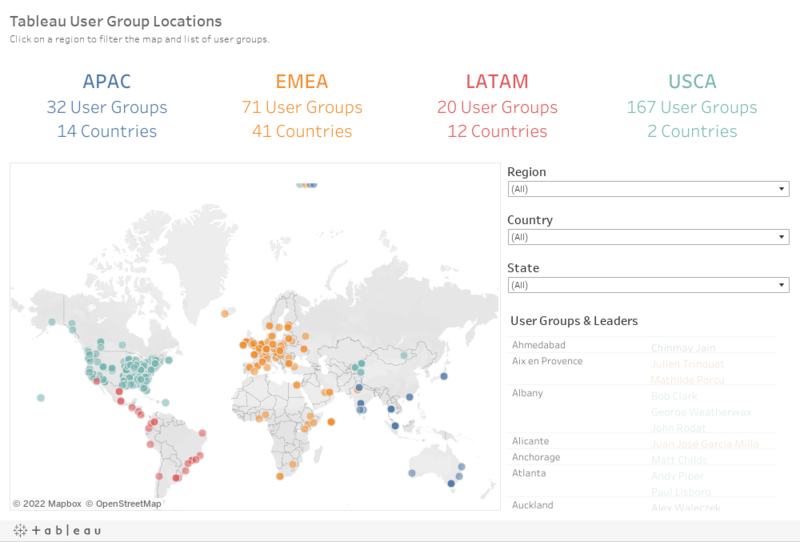 Tableau User Groups: Connect with Tableau users who are in your area or share your interest and expertise. Popular Tags in Internationalization The following tags are frequently used with this category. Tableau Help now offers localization support for maintenance releases. This is something our international customers have been asking about for years. If you are long-time user of localized Tableau Help, you know that there is a lag between English content and localized content. In the past, any updates to English content made after product release (RTW) wouldn’t get localized. So the localized content was perpetually out of date. With localization support for maintenance releases, the updates to English content made after RTW in three most recent releases will get localized twice a year. How can I see this? 2. At the bottom-left, select your language. 3. From the version drop-down, select version 2018.2, 2018.1 or 10.5. These are the three versions that got updated. Our next update will be in March 2019. Vote on your favorite Internationalization ideas!